The last thing Sgt. 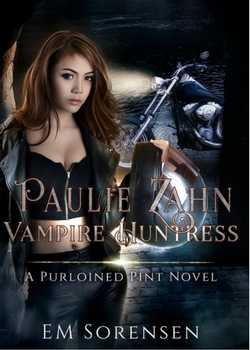 Paulie Zahn expects when she wakes up in a strange hospital is to be told that a Rogue Vampire bit her. Worse, she must cope with the inexplicable changes her body’s going through: she’s stronger, faster, and she feels and senses things she never believed to be possible. Her mentor, Eddie Vangh, has been a Vampire since World War II. He wants to teach her how to live by the code of his clan, which includes not directly feeding off human beings. Caught in between two worlds, not fully human and not completely vampire, Paulie must navigate the inner-workings and conflicts among the different Vampire groups.